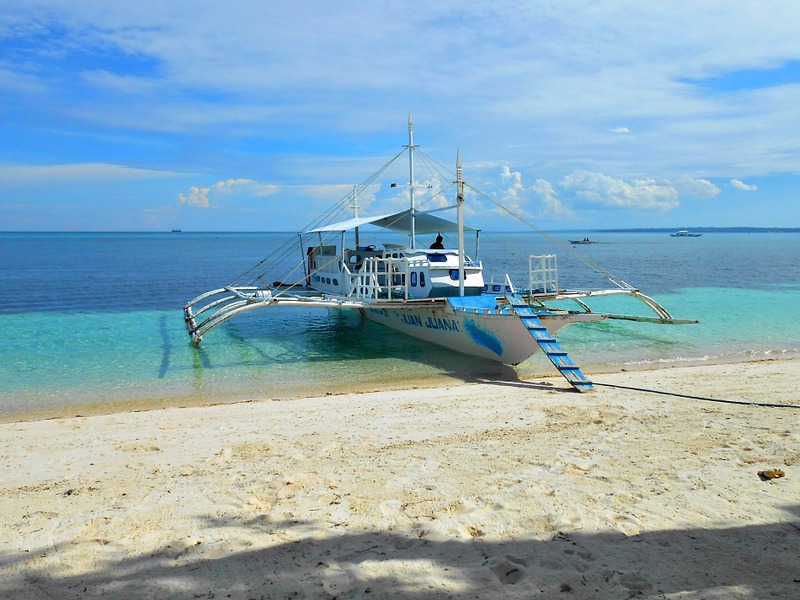 The best way and commonly practiced way in getting to Malapascua Island is to be in Cebu City in the first place. Being the capital of this provincial island, Cebu City has everything (almost) you need for your travels, vacation, business, retirement, investment, hotel reservation, among other relevant needs. It means that you can get your choices of transports for Malapascua’s direction. When I visited the island last year, what I did was took a bus from North Bus Terminal then got off at Maya Port (last stop), then took an outrigger boat for Malapascua. Let me enumerate and describe the vehicles you might take, so please keep reading down below. 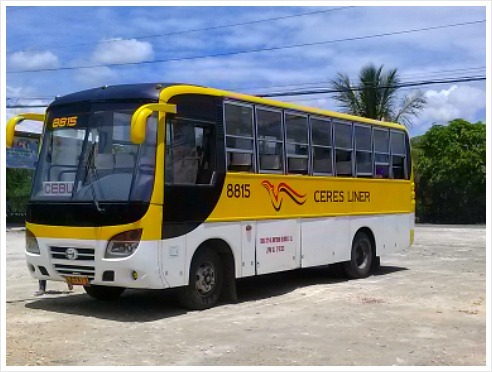 Buses, taxis, V-Hires (Van), and private vehicles will be your for choices of vehicles when you are already in Cebu (or Lapu Lapu City, Mactan). 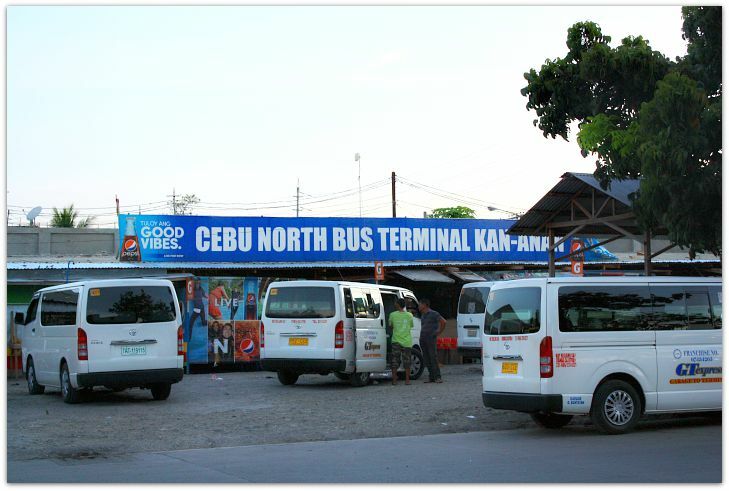 For the buses, you can take it from Cebu North Bus Terminal. You can get there by a metered-Taxi or by jeepney from any point in Cebu and nearby area. At the terminal, you can take the Ceres Bus (yellow bus) or Rough Riders bus. These buses will take you to Maya Port where you can get a small boat for Malapascua Island. Maya Port is the last stop for both buses. The fare is Php180 for air-con and less for non-aircon bus. At Maya Port you can go to the small Ticket Booth for your small public boat (outrigger) ride, which will take around 20 minutes. The boat fare is Php50. Boats leave when they are full, meaning there is no fix schedule. The last one leaves before sundown—that is, before 6pm in the Philippines. The non-aircon buses do not stop (except at terminals) and would take only around 4 hours to Maya. While the air-con buses will take around 5 hours or so because they make short stops along the way and at the terminals for passengers to visit the washroom or buy something at the bus stops. Please, double check the schedule if you want to be sure. This could be faster than a bus since it is a non-stop ride when getting to Malapascua Island. But it could be costly (around Php5,000) and try to make a good deal. It usually takes about 3 hours to reach Maya Port, and better make sure the driver knows how to get there or else it will take 5 hours to get there. So, it is good to have with you your resort’s contact number. You can take a taxi from anywhere in Cebu City or in Mactan Island where the international airport is located. This could be great for a good number of passengers (around 5-8 persons). After your deal with the driver you can just rest or sleep all the way and not worry about your luggage or anything else. In Cebu City, you can most probably hire one from SM City Cebu (a huge department store). Or, ask somebody who knows where to find these vehicles because, although they have small terminals everywhere, they have fixed destinations or route. The V-Hires are usually being rented for a day by small groups that go to a particular site or resort and return with that same vehicle. These are the transports that you can arrange with your resort or hotel when getting to Malapascua Island (up to Maya Port). It can be part of your package or a separate arrangement. Your resort (or dive shop) will arrange a private taxi (or its owned vehicle) and boat transfer.The pick up can be from anywhere in Cebu or at the airport in Mactan Island. The average rate is between US100-120dollars for one way. There are two kinds of small boats (outrigger boats, which we also call 'pumpboats' are being commonly used to transport goods and passengers to and from smaller island. From Maya Port, a small port where you get off from your land transport, you can hire a private boat from Php1,000 and above. However, it is also great to take the public boat which is cheaper and more fun. The cost for public boat ride is only about Php50 (as of the writing). Porters can carry your luggage for 20pesos per bag. Certainly, you can give more if you wish to. You can easily take a bus anywhere from Cebu or a V-hire (mini-van) from their terminals in places such as Shoe Mart (SM) or Ayala Shopping Malls for Bogo City. And to go to these shopping centers, you can take a taxi or jeepney. In Bogo, you can then take a jeepney, a motorcab (or motorcycle taxi – a motorbike with a side car or something similar to Tuktuk in Thailand). Or, buses are also available for Maya Port from here. Bring cash with you because most places accept only cash in Philippine money. Dollars are not preferable. Also, make sure that you have small denominations and not in thousands. Having cash in 20s, 50s, or 100s in pesos is better for faster transactions. Keep your cash safely close to you or where you can see them. Most Filipinos keep or put their valuables right in-front of them, such as their bags or small backpacks, and not on their backs. Anyway, when you arrive at your respective resorts (hotels) and other service providers, you will have your own safety boxes where you can deposit your valuables and use your own safety numbers (pin). That’s it. Hope this guide helps you in some way or another. 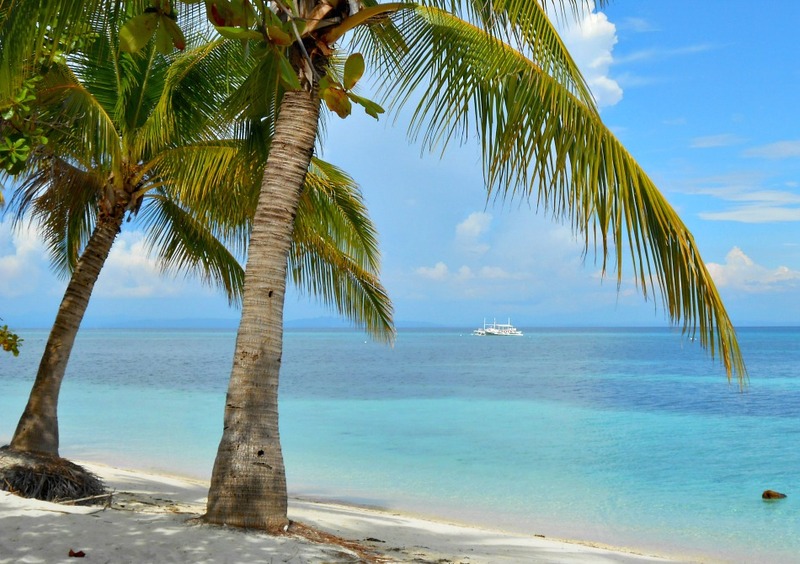 Until then, enjoy Malapascua Island. If you are looking or wish to find ways to get to other islands in the province, you may use the following links for greater details (when ready). Thanks for visiting this site. Your 'likes', comments or anything will surely help improve the service and quality of this free website.